Planet Waves American Stage Series microphone cables are built to exceed the demands of the gigging guitarist delivering all the fidelity and durabilty needed for any situation. The 10-foot length is ideal for shorter runs, home studios, and smaller stages, while the 20-foot length is better for when you need a little more playroom. This cable features right angle to right angle 1/4" connectors. American Stage Microphone Cables are precision engineered and expertly assembled in their Farmingdale, New York facility. 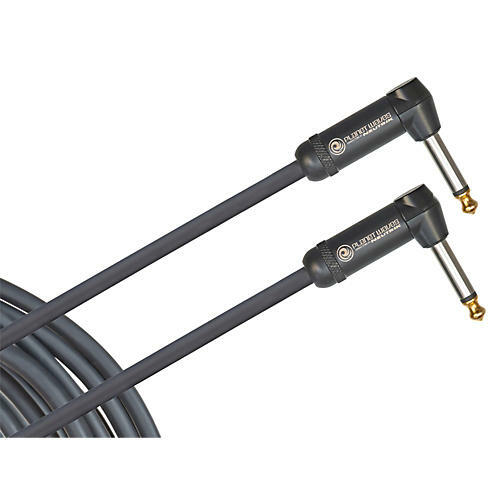 They begin with a premium, audiophile cable manufactured in the USA and add exclusive high-quality connectors built by Neutrik utilizing aerospace crimp connector technology. These unique engineering and cutting-edge manufacturing techniques combine to create a cable that will exceed the most demanding expectations allowing the brilliance of your instrument or voice to shine through with the utmost in transparent, natural, and true-to-life sound. The gig is on the line every time you plug in, and this cable was designed to give you the best sounding, most reliable cable every time out.